Ship: The image of this ship was inspired by an image from the Union Lines ‘Monowai’ dinner Menu 30th July 1949. 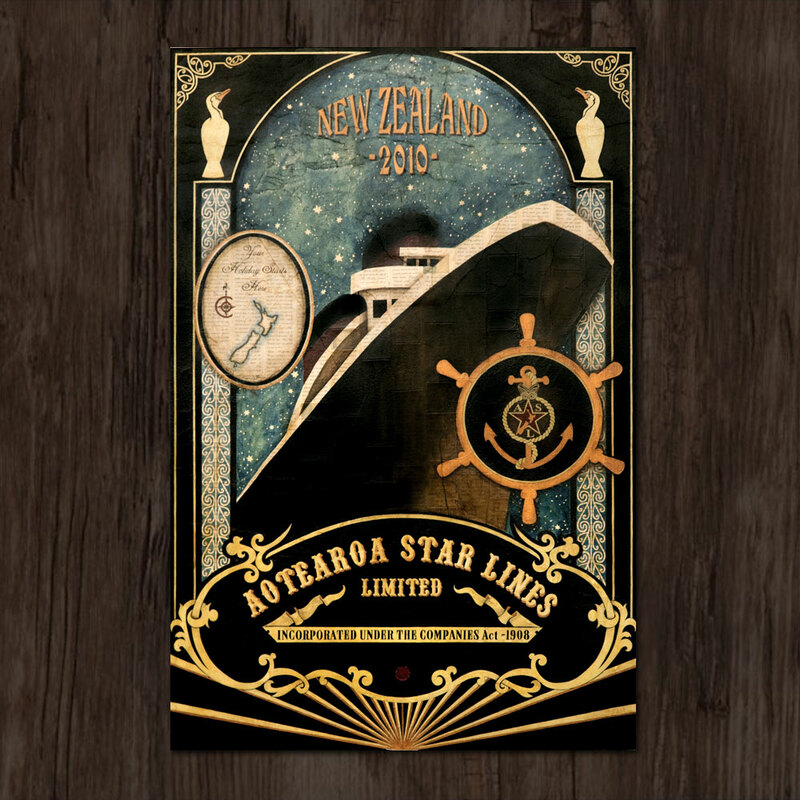 Boarder (Aotearoa Star Lines): This is based on the design from the original shares certificates issued by the Union Steam Ship Company of New Zealand. Aotearoa Star Lines (name): I wanted to incorporate the word ‘star’ as a tribute to the ‘Red Star Lines’. Aotearoa Star Lines Logo: Combination of red star with white boarder from the New Zealand flag; face from the 10cent coin; the rope and New Zealand inspired by New Zealand Ship and Marine society’s logo; and the anchor, symbol of all things connected with the ocean. Your Holiday Starts Here: I have highlighted the letters USS in red along with C & O. These letters stand for Union Steam Ship Co. of New Zealand.